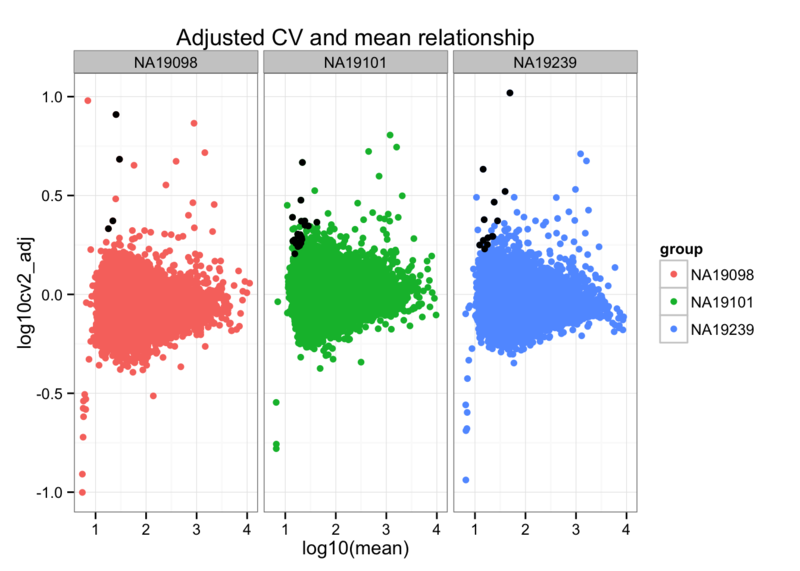 We computed the adjusted CV for each individual and observed that genes with extreme CVs are unique to each individual, while genes with extreme means are likey to be shared across individuals. 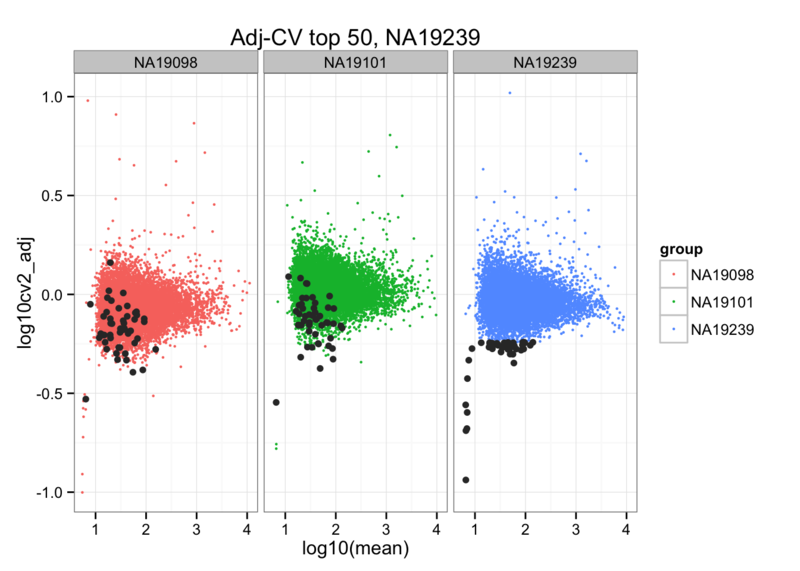 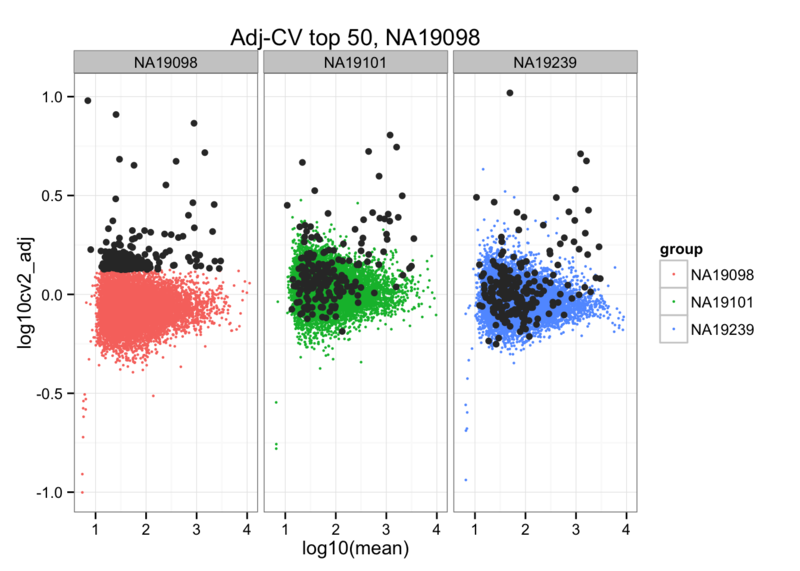 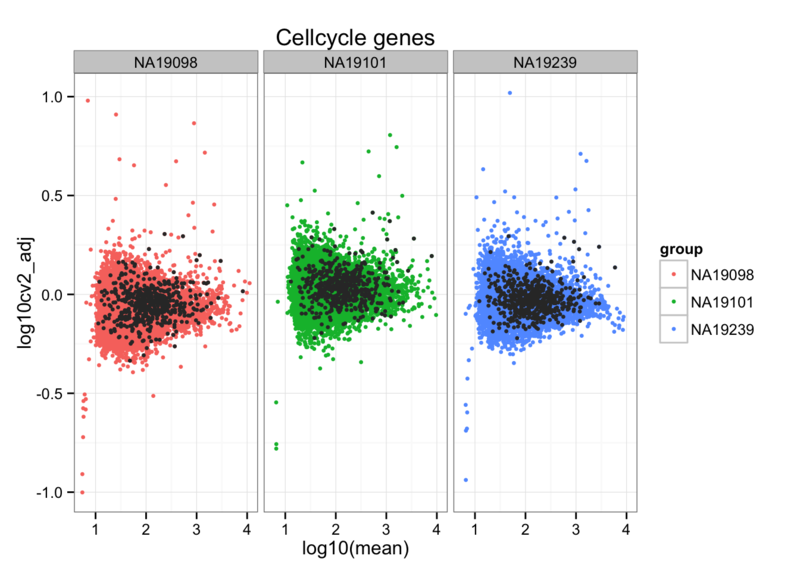 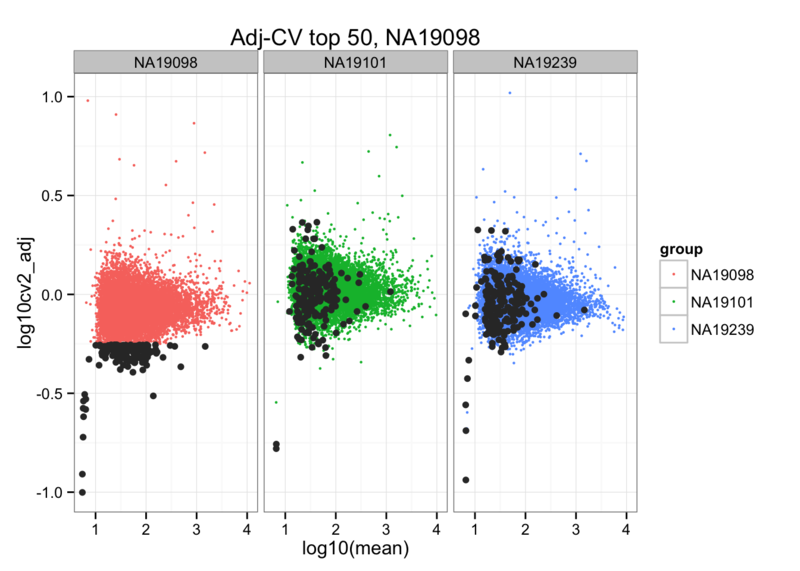 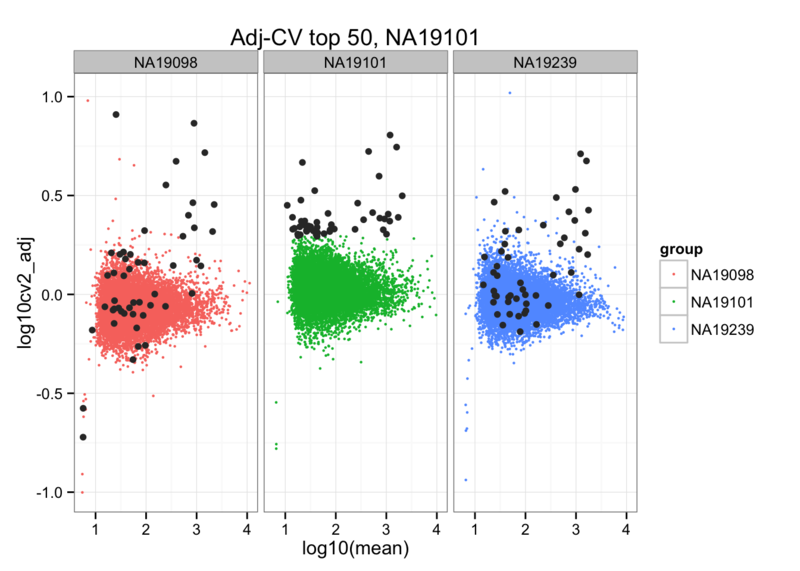 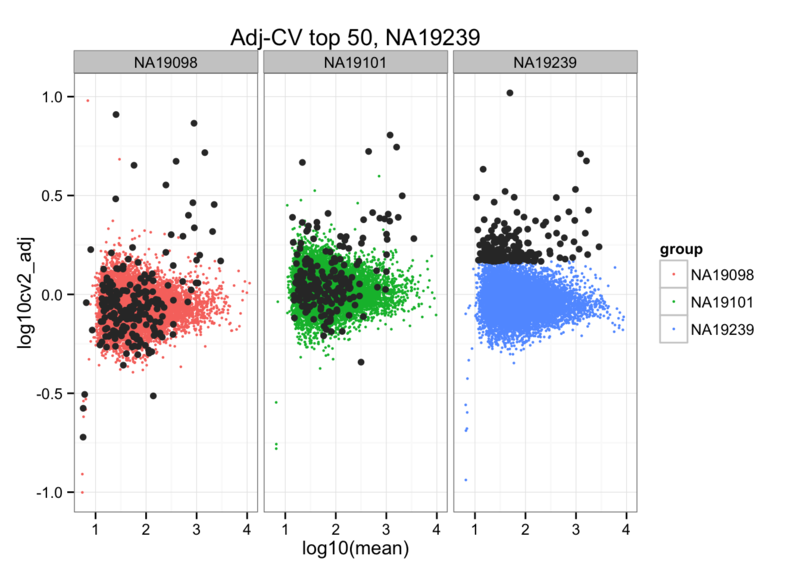 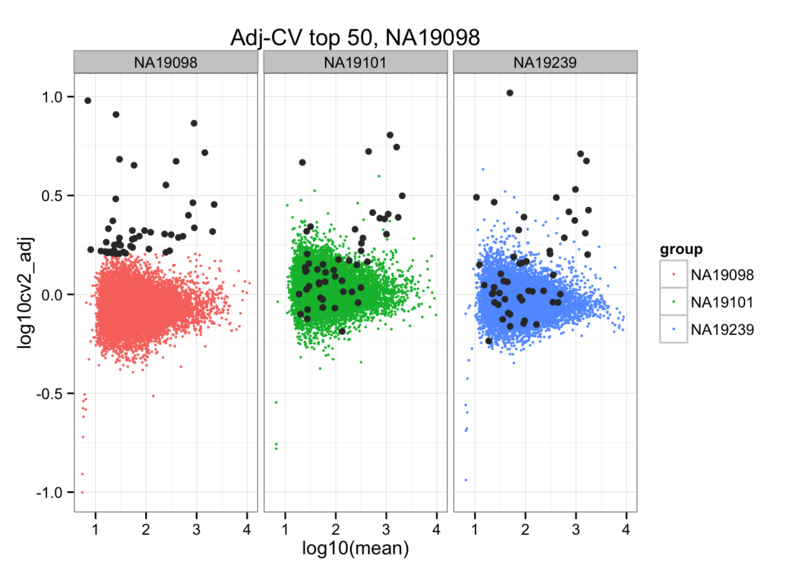 Moreover, the extreme genes are not more likely to be cell cycle genes than the non-extreme genes; in fact, we can see from the scatter plots that cell cycle genes tend to be small in our adjusted CV than the non-cell-cycle genes. 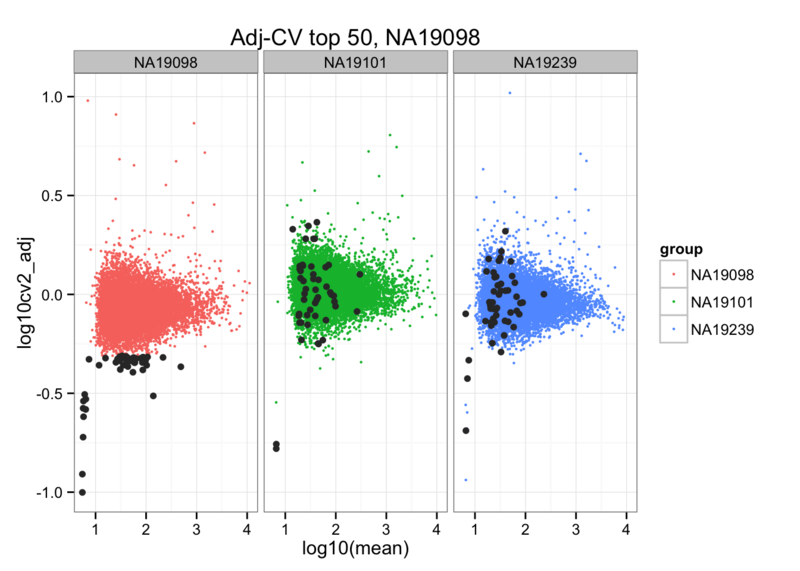 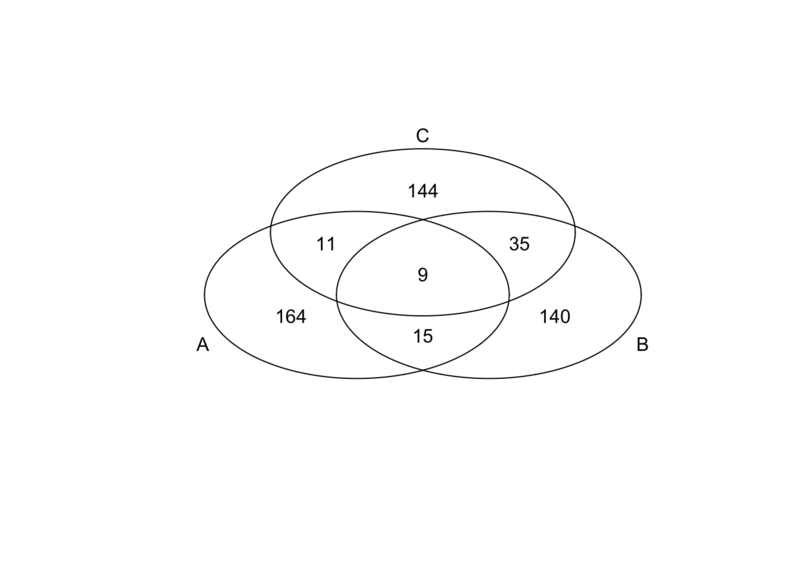 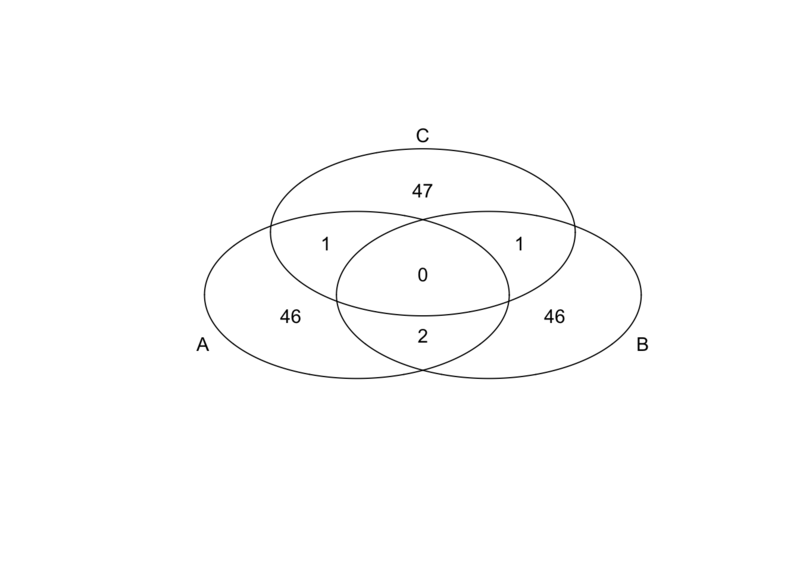 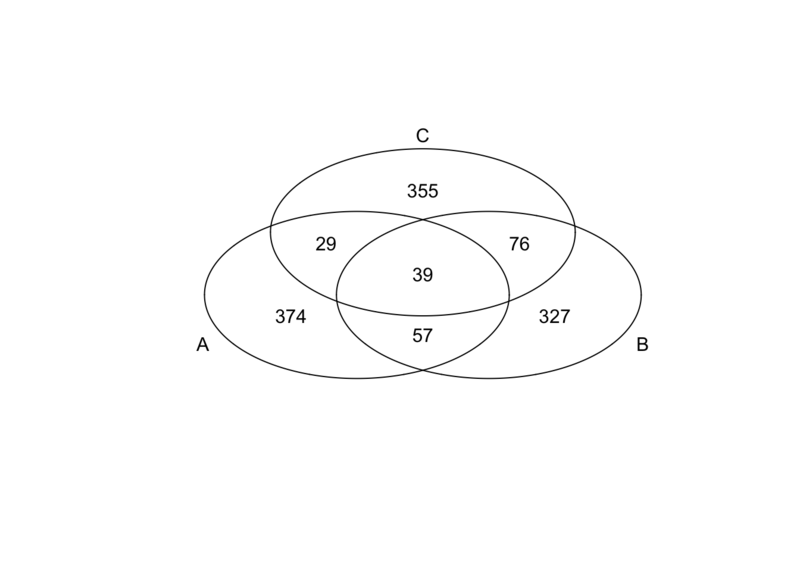 Mark genes with black dots if log10(cv^2) > .5. 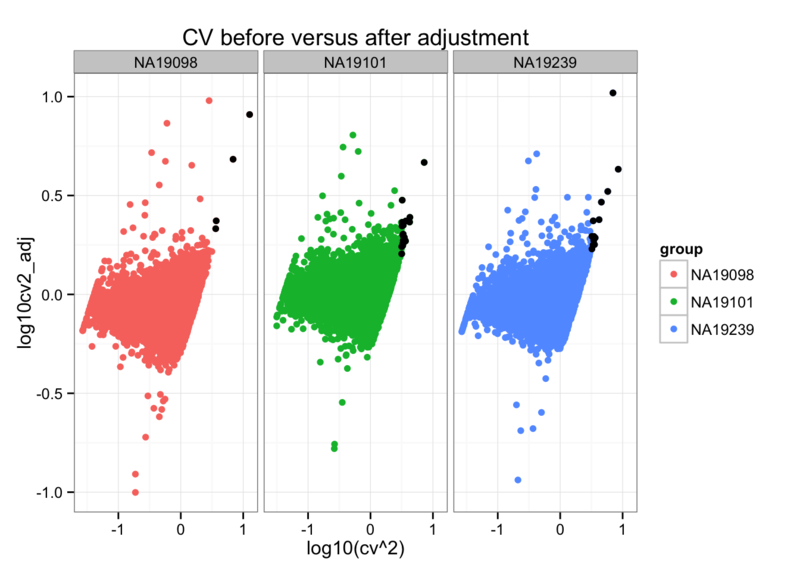 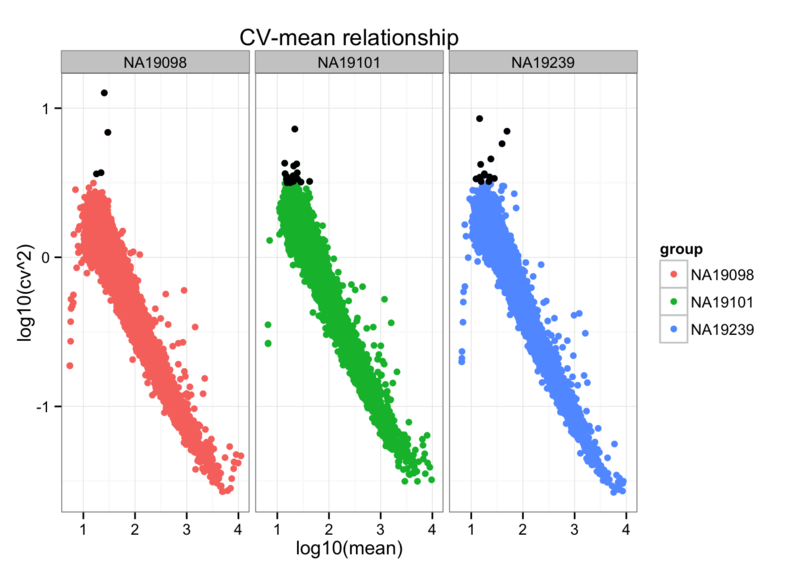 Distance to the data-wise CV (adjusted CV): small CV values are more variable in terms their distance to the data-wise CV value; hence we see a large distance to the data-wise CV for the small CVs than the large CVs.